Do you take care of yourself? Sometimes I am the last person I think about! NOT good! Especially, since I want to live a healthy, active and “feel gooder” lifestyle! So today’s PRACTICALLY SPEAKING is all about how we can create a few non -negotiable habits that will help us take good care of US as we get on with our on-the-go busy lives! And I have a very chic and healthy giveaway I think you’ll love including my new favorite healthy snack bars, Simply Perfect bars! This post is sponsored by Zone Perfect. I think they are a great on-the-go snack and the opinions are 100% mine! My lifestyle find me on the go more often than I would like. And if I’m not careful I can fall into some unhealthy pitfalls like eating junk when I’m hungry or grabbing sugary drinks if left to my own devices! Let’s be healthy even, and especially, when we are away from our homes! This is almost always the first and very best things you can do to ensure success in all areas of our lives! And maintaining healthy habits when we lead such busy lifestyles is all about planning. 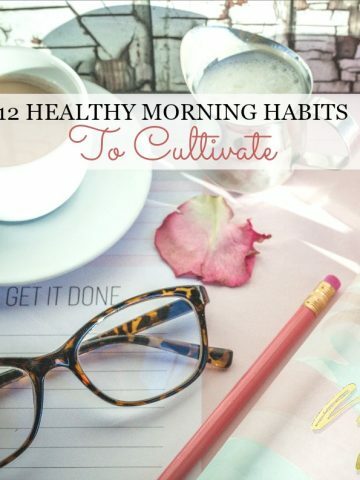 PLAN to make some healthy changes so that we don’t get stuck making bad choices because we are out and about and are thirsty or hungry or tired! I take a big water bottle with me whenever I go anywhere. Keeping hydrated is so so important. Did you know that many times when you feel tired (given you have had a good night’s sleep) your body is telling you that you need to hydrate? It’s true! And don’t buy flavored water! Make your own! Easy-peasy! Use mint, lemon, fruit, herbs. So much better for you! 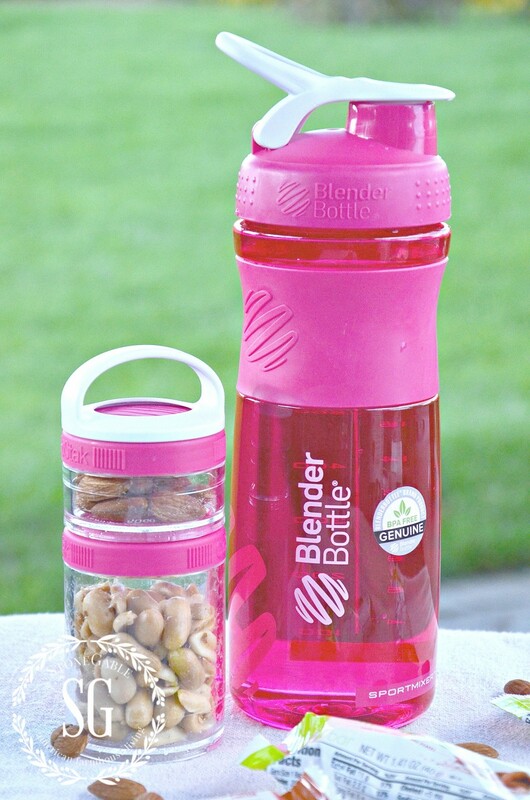 I have a bright pink, blender bottle. I’m not much of a breakfast eater, so the blender ball comes in handy when I’m making a protein shake in it! Don’t leave home without this!!! A healthy snack can squelch the munchies, give you much needed energy and in my case ward off headaches. Make a decision before you go out that you WILL NOT buckle under and eat any unhealthy snack or junk food. Carry something delicious with you! I LOVE LOVE LOVE these Perfectly Simple bars from Zone Perfect! They are full of good for us real food, taste scrumptious, are packed with protein ( I need this! 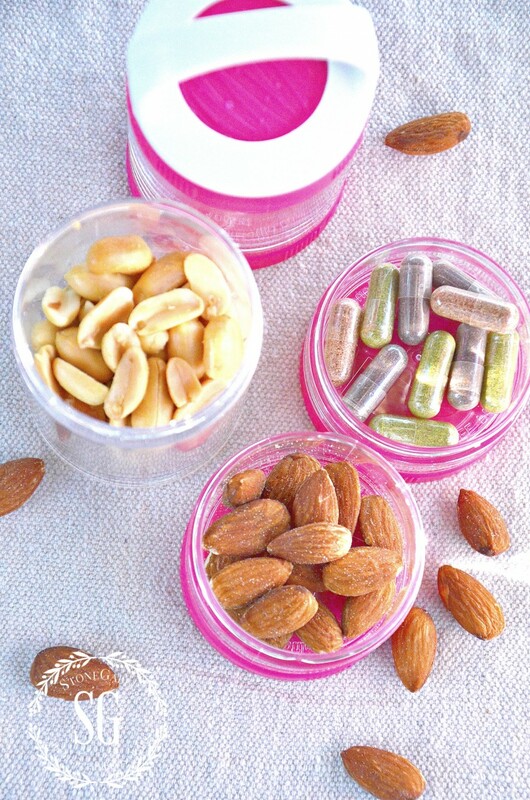 ), keeps me full longer, less than 200 calories, gluten free, are so portable and have that little chewiness I crave!!! Pretty fabulous for one great tasting snack! I’ve been eating them for breakfast. They are wonderful with a cup of coffee! Or crumbles over a cup of yogurt. Here’s the flavors I love…ALMOND TOFFEE CRUNCH, BING CHERRY AND ALMOND, OATMEAL CHOCOLATE CHUNK AND ROASTED CASHEW AND DARK CHOCOLATE! Oh, Yummy! 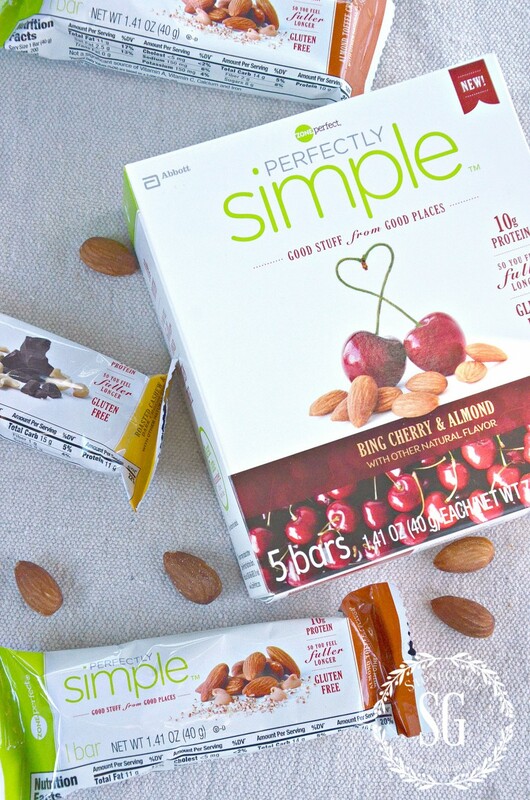 You can get $1.00 off SIMPLY PERFECT ZONE PERFECT BARS by clicking HERE. You will want to give these a try! This tip is not just for us who need daily meds. It’s also important to remember to take your supplements and vitamins too! I keep a day’s worth of these in a little plastic box and take them with me. So, if I forget to take any of them at home… and am out all day I have them on hand. Smart!!! Take all the tips above and put them in a GRAB-AND-GO bag and take it out the door with you. I used to take a bag full of things that my kiddos needed when we went out… I don’t know why I stopped! Now, I have a small bag to keep my water, Perfectly Simple bars, meds and anything else I’ll need for my on-the-go life. I keep my car/house keys in it so I remember to take it with me! What do you do to keep healthy and make good choices when you are on the run? I’d love to hear your ideas!!! I bet you have great ones! 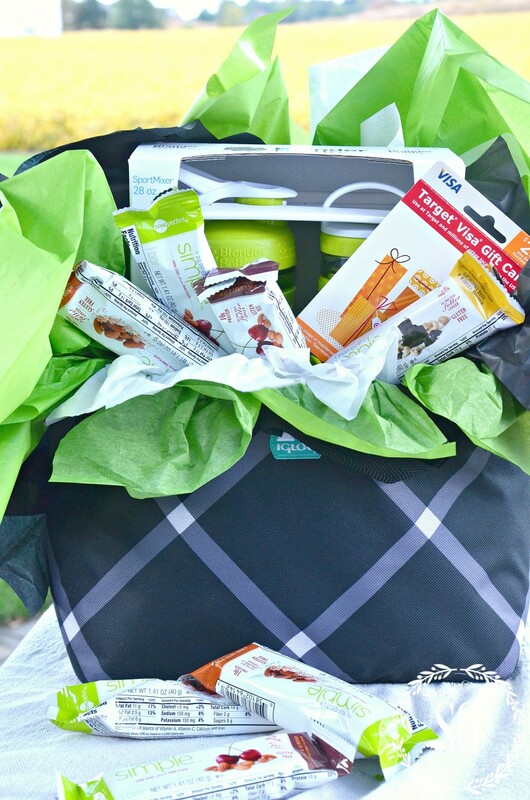 HEALTHY LIFESTYLE GRAB AND GO GIVEAWAY… A $100.00 VALUE! I have put together a great fun grab and go bag full of things you will need to be happy and healthy when you are out and about living your busy life. an chic black and white Igleoo tote bag for your grab and go bag… just like the one I have! 1 stackable snack tube. I also have one and use it for supplements, snacks and med too! LOVE these! Enter below… it’s easy!!! Winner will be asked to verify they followed the instructions to obtain prize. Oh my goodness, Yvonne…I. don’t often comment but I should! I just realized how much I love, love your blog and how much I look forward to to the email advising me of the latest post. 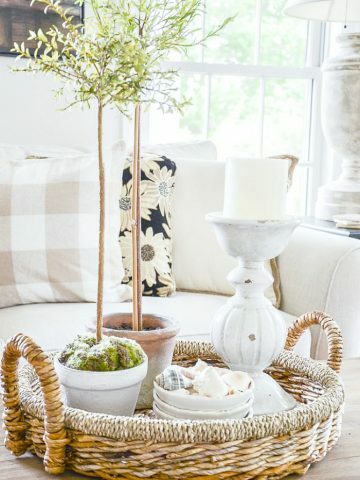 You are such an inspiration, not only for your fabulous decorating tips but I find good Spiritual food for thought that gets me through the week, great tips for healthy living, gift ideas, gardening tips; oh my, the list goes on! Thank you for your consistency in keeping your blog up to date and interesting…it’s the best! Oatmeal chocolate chunk looks great. Oatmeal Chocolate Chunk looks to die for. I like crunchy snacks that keep me happy all day long and I think this will be no exception. I would love to try the ZonePerfect® Perfectly Simple Almond Toffee Crunch Energy Bars, they sound tasty. My daughter would love the chocolate oatmeal bars. ? They sell them at CVS near me. I would also love to get the fudge graham zone perfect bar. The Roasted Cashew and Dark Chocolate protein bar sounds divine! WalMart, Walgreens, and CVS! Thank you so much for this giveaway. I would love to try the oatmeal chocolate chunk bar. My local CVS carries these bars; it’s less than a mile away. Several Targets and Rite Aids carry the products. I cant wait to purchase the Chocolate Peanut Butter bars at Walmart. Thanks You for sharing. I would really like to try the greek yogurt from ZonePerfect. The strawberry with double dark chocolate sounds delicious. Awesome! They have these bars at my local Target which is only 1/2 mile away. We travel about six months out of the year — I’ve missed a lot of lunches and meals. This would be perfect. Thank you for the opportunity. Right now I can pick them up at Harris Teeter. I’ll try some of the bars. I’ve REALLY been negligent on the water. Shame on me. This would be great. Almond toffee crunch and target! Been looking for a protein bar that tastes good! Will be going to Target to try these. Thanks! I am going to my local Save Mart grocery store today to pick up the Oatmeal & Dark Chocolate and the Bing Cherry & Almond bars. I am always looking for a take-along snack that is low in sugar and carbs and has protein to keep me going! Walgreens and Target near me have the Perfectly Simple snack bars. The almond toffee crunch bar looks delicious! This looks like a really great gift. I’m especially interested in the Go Stak for the supplements and snacks. Thanks for the great tips and opportunity to win! Shared and liked from your facebook page because I could not get Pinteest to work. Where did you get the water bottle and the other stackable pieces for snacks and meds? Thank you. Bing Cherry and Almond is the one I want to try first. I didn’t know Zone Perfect had Smoothie mixes. I would love to try them! My area..goodie for us have these yummy bars at many places like Publix, Walmart and Target. Thank you for the opportunity to win! Walmart sells these bars. They’re sold at Fred Meyer, just a few minutes from my house! 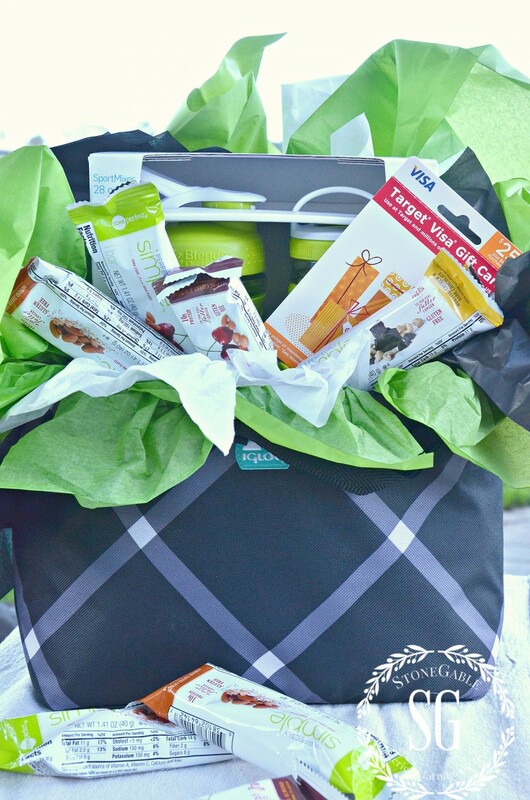 Would love to win this package as I take water and snacks wherever I go. The Oatmeal chocolate chunk looks yummy. I would love to win this. I found these products are sold at my local Target in Hodgkins, IL !!! These are so yummy! I love this giveaway and thank you for the chance to win. I love the Almond Toffee Crunch! can’t wait to try these bars. I need to start carrying a bag with water and snacks. My dr. Just told me I definitely need to start drinking more water! This gift bag sure would hel me get started. Thanks for all of your great blogs! Love them! I’m not a big breakfast eater either. 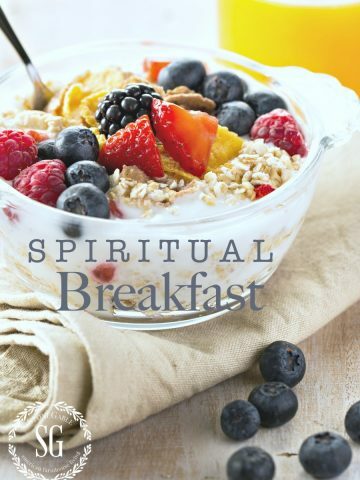 I know its “the most important meal of the day” but if you’re not hungry, it’s hard to eat! These perfectly Simple bars would be perfect! AND simple! Perfectly Simple! Love it! Cant wait to pick some up! I so want that bag of goodies!!! What an amazing giveaway!! Thanks so much! Love the water bottle and snack stacker! Where can I buy them? Definitely going to try the bars, too. I would really love to get this grab bag, I workout 4 times a week and this sounds lovely. Thanks for the chance. I’m always up for something new that doesn’t have much sugar. While these are quite calorically dense due to the nuts they would be nice for on-the -go eating. I really try not to snack, however. Thanks for the great tips and reminders….something we all need! Hope I’m the lucky winner of the give away! This is a great giveaway, Yvonne! I buy the Zone Perfect bars whenever I can and love them – the chocolate peanut butter nutrition bars are my favorite. I;ll be sure to check out those bars at Target…my husband likes to take one every day for his break. Lucky for me our daughter and SIL own a bottled water company so its easy for me to carry a bottle with me. I would love to try the Bing Cherry & Almond Bars. I have been loving me some cherries lately. My closest store that carries these is Kroger. The Target near me has it. 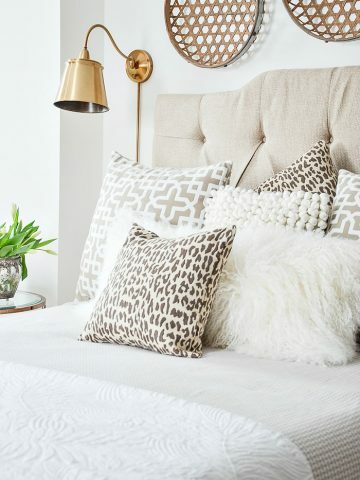 Thank you for the practical and inspiring post! Hi Laurabeth, you are so welcome! What a great mix – can’t wait to try out the protein bars. I have been dieting for years and find now that I do have times where I am absolutely starving for a small tidbit…good idea to carry with me. I am in your boat too! But I’ve given up dieting and am focusing on being well and healthy! Thank you for this post! How smart to have a grab bag to keep everything together. Usually I’m running out the door with a bottle of water and snacks in a baggie crammed into my purse…and later find them smooshed! I will go by Publix and pick up a box of the Zone Perfect Chcoolate Peanut Butter Bars. I look forward to your post daily!! Try their new Perfectly Simple… simple ingredients and such great flavors! I’m stopping at Target today and will definitely give the bars a try. Thanks! These bars are so delicious! I have tried them many times. I like the Oatmeal Chocolate Chunk bars the best! Hi Yvonne. I completed all 4 steps for the giveaway. Headed out today and will buy some of the new bars to try. Always looking for a healthy snack. Yvonne, thanks for this much needed post. Never thinking about myself until I read about the grab and go bag. I have been on the run each day, busy with a Dad who passed away last month and now running to my Mom. Seems that life is getting tougher as I get older and now I am feeling the strain. I will be going to get those bars and try to remember the water ( even though I am not a water person). Love the stackable snack set too. The closest store to me is Walgreens, look forward to trying the bars. Great ideas! Just takes a little planning to make such a difference! Love this Give-a-Way! I will go straight to Target to pick up some bars! Great snack for anytime! I never leave home without my water and supplements for the day! Now I wouldn’t have to put them in a baggie! Ha! Thanks! Love your Blog and Pins and Recipes Yvonne! I’m addicted! I work long days at a rural family medical practice, this is what I need for busy days! You are my kind of girl, Candy! Good for you! Can’t wait to try the Perfectly Simple Bars. Love the “Grab and Go” bag! We all need to be reminded to take better care of ourselves. I will be trying the bars. The Bing Cherry and Almond sound delicious. Thank you for your generous offer! I would love to have this set!! A wonderful way to keep on track. I too don’t think about taking care of myself, but I’m trying to change that. Can’t wait to try these bars. Thank you for the coupon and chance to win the generous gift basket. You bet Nancy! I still have to keep reminding myself to take care of ME. It’s good for EVERYONE you love, right? Bing Cherry and Almond is my treat to myself in the afternoon! Great idea for the afternoon when you need a little lift! And always yes to water (I love it with fresh mint)!! !thanks for the giveaway Yvonne! 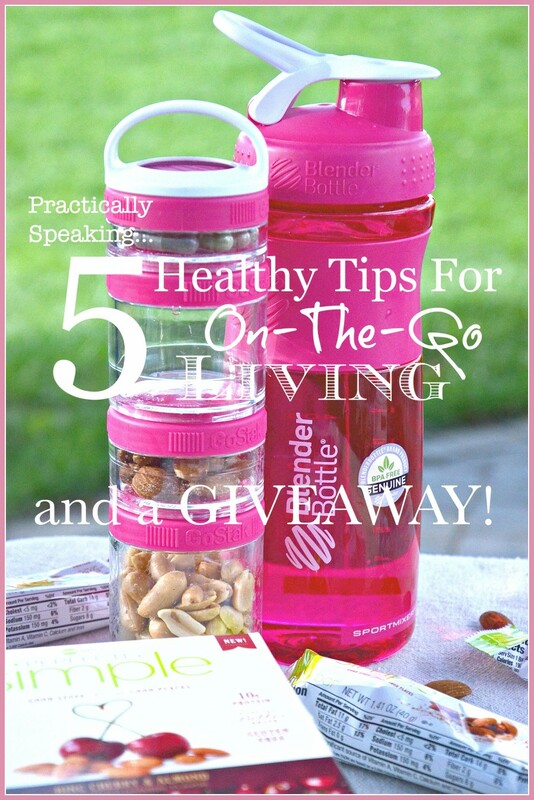 Wow – all great tips for staying healthy on the go. When I go shopping, I’m gone for the whole day and I’d rather not have to hit the fast food places, so it’s important that I take snacks and water. I usually grab a packaged bottle of water but if I had this I’d take tea with me. I bet my husband would like these bars also. He has a very physical job and so healthy, protein-packed snacks really help him get through his day. These are already on my shopping list! Thanks for the great tips! I got the bars at Target too! They were with the other healthy bars and protein drinks. Thanks for the review on the protein bar. I love a yummy healthy snack that is portable. I will definitely give these a try. Have a blessed day! Thanks Yvonne for the tips! I can’t wait to go to Target and search out these bars. They sound delicious and packed with protein. Hope I’m the winner?cause my last water bottle sprung a leak yesterday. So I guess I’m off to Target today to buy a new one and use my$1 coupon for some Perfectly Simple bars (hope they have the Sweet and Salty Pretzel)! You will love them. I’ so picky and these bars are very tasty! I would love to win this package! I love your site and find it so helpful. I love how you are able to put things together that I would never think of doing Beautiful site!